The Democratic leader takes a hard line as spending bills to fund the government after Dec. 21 advance amid the president's threat of a shutdown over money to build the wall. 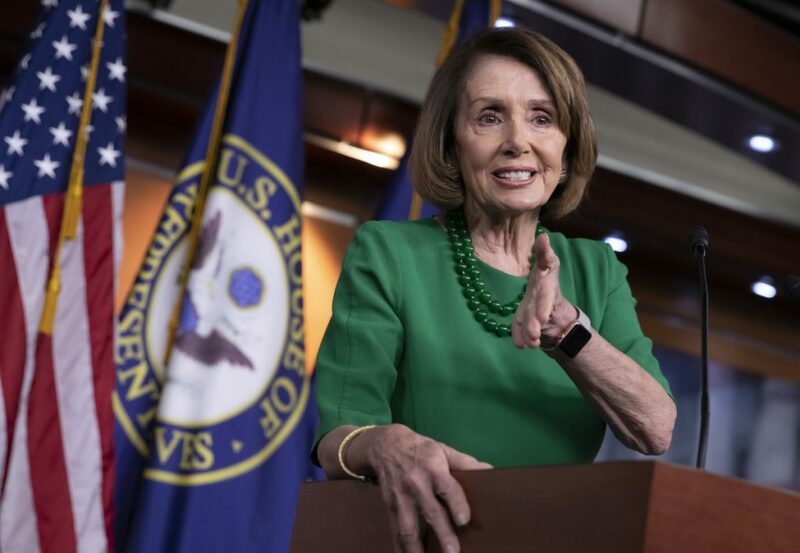 WASHINGTON — House Democratic leader Nancy Pelosi on Thursday rejected the idea of paying for President Trump’s border wall in exchange for helping hundreds of thousands of young immigrants avoid deportation. Even if Mexico did pay for the wall, “it’s immoral still,” she said. Missouri Sen. Roy Blunt, a member of Republican leadership, said the key question is whether Trump will sign the next funding package if it lacks funding for the wall. Schumer said Thursday that a bipartisan Senate plan for $1.6 billion in border security funding does not include money for the 30-foot-high concrete wall that Trump has envisioned. The money “can only be used for fencing” and technology that experts say is appropriate and makes sense as a security feature, Schumer said.